Occur in a variety of habitats including alpine and arctic tundra, boreal and mountain forests (primarily coniferous) from sea level to tops of mountains (Banci and Harestad 1990, Gardner 1985, Gardner et al. 1986, Magoun 1985, Whitman et al. 1986, NatureServe 2007b). In winter, usually in areas with snow. May also use riparian areas in winter. Dens are usually long, complex snow tunnels (Magoun and Copeland 1998). In southern Alaska, wolverines are found above and below treeline in forests dominated by white spruce (Picea glauca) and black spruce (P. mariana). Above treeline, plant associates included diamondleaf willow (Salix pulchra), rough fescue (Festuca altaica), white arctic mountain heather (Cassiope tetragona), black crowberry (Empetrum nigrum), mountain cranberry (Vaccinium vitis-idaea), alpine azalea (Loiseleuria procumbens), pincushion plant (Diapensia lapponica), eightpetal mountain-avens (Dryas octopetala), bog birch (Betula glandulosa), and lichens (Skoog 1968). 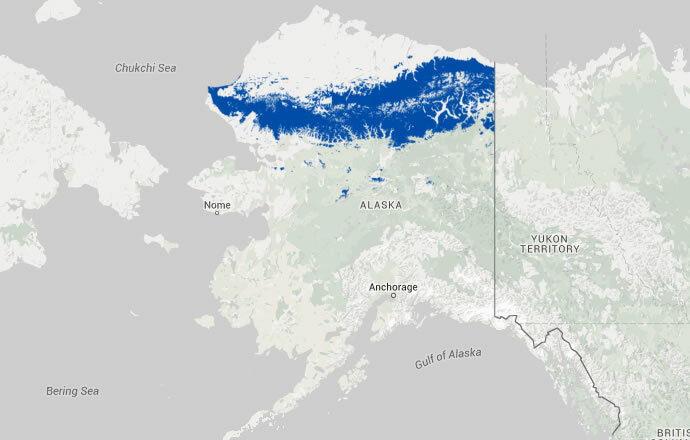 In another study from southern Alaska, white spruce-black spruce habitats were primarily used December to April. Use of tundra habitats peaked in May and September to November. Use of riparian brush habitats peaked from June to August, with limited use during the rest of the year. Upland brush habitats were utilized year round with peaks during July and December. Rock outcrops were used throughout the year with a peak in August (Whitman and Ballard 1984). In south-central Alaska, forested, birch-willow-alder (Betula spp.-Salix spp.-Alnus spp. ), and rock-ice habitat types are used in the winter and tundra, birch-willow-alder, and rock-ice habitat types are utilized in the summer (Whitman et al. 1986). Banci, V. and A. S. Harestad. 1990. Home range and habitat use of wolverines Gulo gulo in Yukon, Canada. Holarctic Ecology 13:195-200. Gardner, C. L. 1985. The ecology of wolverines in southcentral Alaska. Unpublished thesis, University of Alaska Fairbanks. Gardner, C. L., W. B. Ballard, and R. H. Jessup. 1986. Long distance movement by an adult wolverine. Journal of Mammalogy 67:603. Magoun, A. J. 1985. Population characteristics, ecology and management of wolverine in Northwestern Alaska. Unpublished thesis. University of Alaska Fairbanks. Magoun, A.J. and J.P. Copeland. 1998. Characteristics of wolverine reproductive sites. J. Wildl. Manage. 62:1313-1320. Skoog, R. O. 1968. Ecology of the caribou (Rangifer tarandus granti) in Alaska. Berkeley, CA: University of California, Berkeley. 699 p. Dissertation. Whitman, J. S. and W. B. Ballard. 1984. Big game studies. Volume 7. Wolverine. Susitna Hydroelectric Project–Final Report. [Anchorage, AK]: ADF&G. 25 p.
Whitman, J. S., W. B. Ballard, and C. L. Gardner. 1986. 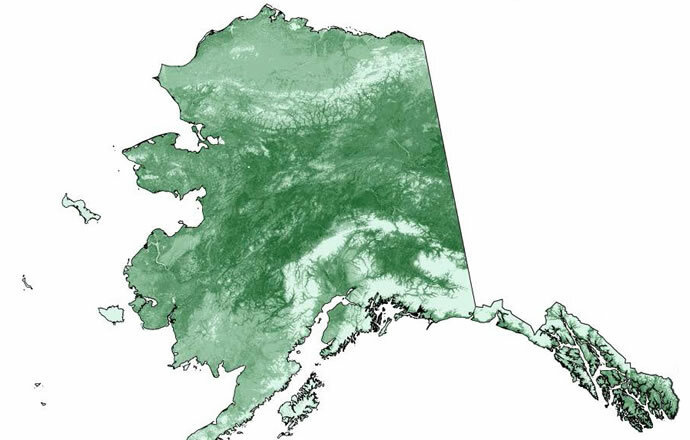 Home range and habitat use by wolverines in southcentral Alaska. The Journal of Wildlife Management 50: 460-463.